I so enjoy getting inside the heads of my fellow writers, to get a glimpse of how they see their work and sometimes, pick their brains for new ideas and points of view. Self Publishing requires continuous education, and there's a massive amount of information that needs to be absorbed. Reading about what worked and what didn't work for our peers, can help us sort through the clutter in our own heads. 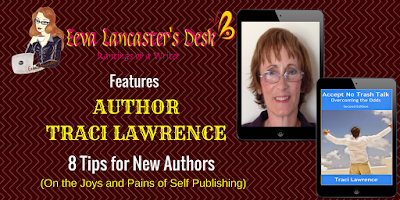 Today on my Desk, I'm happy to feature a longtime member of the Alliance of Self Published Authors, Non-Fiction writer and author of Accept No Trash Talk, Traci Lawrence. You have the floor, Traci. Writing isn’t easy for most people. We enjoy it, and it can be cathartic. However, the process can be laborious. 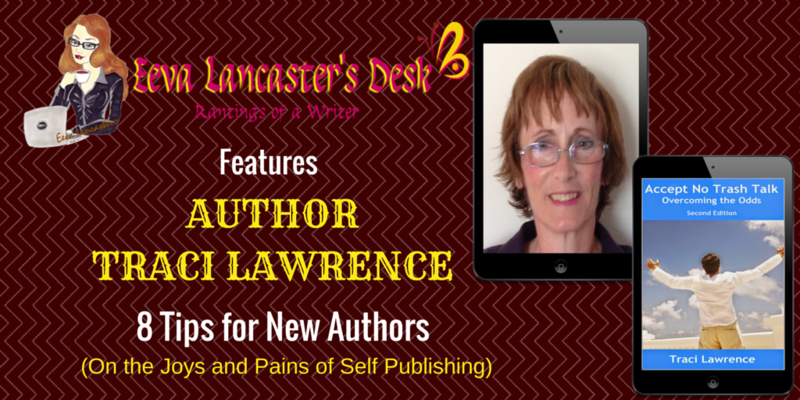 Many new authors don’t realize that the publishing process can also be time-consuming. Putting your work out for the public to enjoy is unbelievably satisfying; yet, it doesn’t happen overnight. Circulating a book isn’t just a matter of jotting a few thoughts down and putting the results up on Amazon. That kind of book is easy to spot, and it doesn’t sell well. Savvy customers are able to determine, after only a few words, if a book is worth their time. They can read the synopsis of the book online, or use the “look inside” feature on Amazon. (This allows individuals to read 10% of the book for free immediately.) If the book doesn’t look interesting to them, they won’t buy it. On the other hand, they are likely to purchase it, and share their opinion, if it’s intriguing. The reader may post a brief review, or refer the work to friends. This is what we call “promotion” in the writing business and “publicity” in others. Whatever name it goes by, it’s as necessary as gathering the product or service in the first place. A “beta reader” is someone who reads your book for appropriate content, continuity, and clarity. Your helper can be an acquaintance, relative, friend, or anyone you choose. Feedback may include general tips for improving your grammar and spelling. In this way, they can accomplish part of the job of an editor for free. We absolutely cannot write in a vacuum, no matter how famous we are. Every person comes from a particular background. We need other people to look at our writing from a different perspective. This is an extremely humbling, but necessary, part of the whole procedure. It’s an uncomfortable process for sensitive people; however, its importance cannot be overstated. You may be a spelling bee champion. You may have degrees and credentials in English. The fact remains we often get too used to our own writing. Even experts need a second pair of eyes to glance at their finished product. Others may see what we miss. Yes, you want to make money as soon as possible. But, nobody wants to invest in a less-than-quality product or service. There are hundreds of thousands of books out there. Some of them are untidy. The only way to make your book stand out is to ensure its quality. I have seen a noticeable lack of thoroughness in quite a few works. When I see such inattention to detail, I immediately stop reading. I conclude the rest of the novel must be as sloppy as what I’ve already read; so, there’s no need to continue. You may even need to do some online research. There are thousands of companies competing for your business. You will need to search out the reputable ones. After all, you’ll be spending your own hard-earned money. 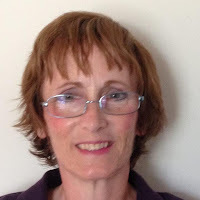 • I have a friend who almost accepted a contract with a specific “publishing company” until she found out their main objective was to market various publishing services. • I didn’t research book formatters well. The organization I chose made repeated mistakes. A job that should have taken two weeks took about eight weeks and eight separate revisions. Let’s face it: you may be a brilliant writer; but, your book won’t appeal to every single person in the world. For example, J.K. Rowling, author of the Harry Potter series, is one of the highest-paid authors in Britain. Nevertheless, I don’t have any interest in complicated books of her genre: fantasy. I’m not going to spend my time and money on her books no matter how skilled a writer she is. I know what kind of books I enjoy reading, and nobody has to hard sell them to me. On the other hand, trying to market me a work in which I have no interest is useless. Consider repetitive commercials and infomercials on T.V. Do you really listen to every one of them? You probably tune them out; I know I do. I wrote a self-help book. Therefore, I am trying to promote it to people who do not read solely for entertainment. It’s not a deep psychological manual; but, I’m told it makes readers think. My book speaks of overcoming obstacles such as bullying, medical challenges, and so forth. It seems to appeal to individuals familiar with those situations. My book attracts online friends who have a background of being limited by illness and the unjust expectations of society. I find potential readers in social media groups specific to those concerns. For instance, I have come across quite a few ladies who are dealing with chronic illness in blogging communities. In contrast, people who have not been exposed to similar viewpoints or life experiences may not relate to my work. They are not as intrigued by my examples of survivors because they haven’t been through such challenges. Writing a book can be time consuming and energy draining. Most authors want to publish their book and be done with it. However, that’s not how it works. Publishing is a business like any other. Any occupationrequires marketing at some level. Your book is the product you’re selling; you must promote it. You can write a novel perfectly in every way, with a captivating plot and characters. However, if you’re an obscure writer, how are readers going to be led to your book? I’m a member of an online writers’ community that has a high rate of turnover. Invariably, the authors who leave complain they don’t have time enough to trade a small number of reviews and promotions with other authors. They say such win-win tactics takes valuable time away from their writing. They don’t seem to understand writing is only half the battle. • Connecting potential readers directly with your work. Nobody wants to be bombarded with constant “commercials” online, or on TV. One purpose of having an online presence is to network. People don’t want to keep in touch with someone who is constantly pushing their product/service at them. The experts say comments and posts on social media should be 80% unrelated to your product/service and 20% related to it. You are not only marketing your writing; you’re promoting yourself. Image is everything. If people find you annoying or insensitive, they might not be as quick to give you their money. That’s human nature; numerous individuals boycott organizations or people who upset them. A prime way to keep your name out there without annoying people is “soft selling.” This can be done through blogging. It will keep your writing skills fresh. In addition, you will be able to add your book link to every blog post. I blog a few times a week. This shows consistency to my followers and keeps my work in their thoughts. In essence, reviews are advertisements. You can promote yourself all you want; but, the recommendations of a satisfied reader will probably hold more weight. Author-written book synopses are an acceptable way to learn any book’s content. However, reviews are a method to dig deeper. Such evaluations explore the psychological effect of the work’s content, not just the substance. Only buyers of a particular book can judge how a work might affect other customers. Authors know what result they desire; evaluators of the work will discern if the writer is successful. You must be prepared for some people to not only dislike your genre, but your way of thinking. This is especially true of today’s self-absorbed culture. Value systems vary. One reader may relate to the worldview you’re promoting while another may not. Some individuals will make their opinions known in a selfish manner. For example, in the online community mentioned above, we promote each other through trading posts and analyses of our works. I understand some writers have chosen to leave the community because other members have declined to read their work.Any presence on social media opens a door to a world of positivity as well as negativity. Some members will have your best interests at heart; others won’t. Publishing a book is a laborious, but satisfying, process. The lengthy list of rewards will include a sense of accomplishment, gratifying relationships, and financial gain. Those incentives outweigh the potential pitfalls, such as the need for research and attention to detail. Along your path to success, you will find supporters online who will either help you, or lead you to those who can give you support. The process of producing a work of literature is a task for a “village”. Your job is to determine who your particular advocates are. Helpers will read your book, suggest improvements, give up their time for you, and offer tips for improvement. They may also lead you to viable options for paid publishing services. The next phase after writing is publishing your words. This is the time to network with people on social media and consider your reaction to both positive and negative feedback. Two points must also be contemplated: the organizations which you pay for services, and your target audience. Some companies will be honest, and others won’t. In addition, it’s important to search out readers who relate to your style of writing. I wish you the best of luck in your quest to make your voice heard! Any kind of writing requires a level of courage incomprehensible to non-authors. The production of one’s own innermost dreams and experiences entails even more resolve. It’s a process which bares the soul, figuratively speaking. A writer’s true thoughts often shine through the most objective prose. Certain people will not appreciate your way of thinking. It’s your job to find those who do. That’s the challenge of this wonderful industry of self publishing. Thank you Traci, for sharing your thoughts with us. Her book Accept No Trash Talk is available on Amazon. Check it out. Synopsis: This is a book about overcoming the effects of disrespectful communication--and many other situations that may seem to keep us from moving forward in life. The author uses many examples from the lives of prominent figures in history and current events to illustrate her points. She also cites cases from her own life. I am a part-time substitute teacher. I enjoy reading in many genres, writing, and music. 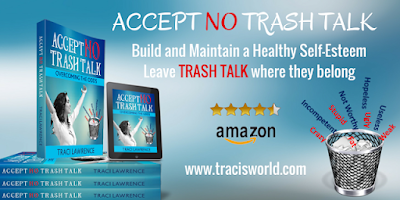 I wrote Accept No Trash Talk, and I plan to write similar books, because I am passionate about the topic. I feel strongly about the need for everyone to realize that they can push beyond a past hampered by challenges of any kind. I know this is possible because I have dealt with chronic medical concerns, and being devalued, for most of my life. Now, I am at a much more comfortable, respected place in my life. I want to help others to see the light at the end of the tunnel, as I have recently.